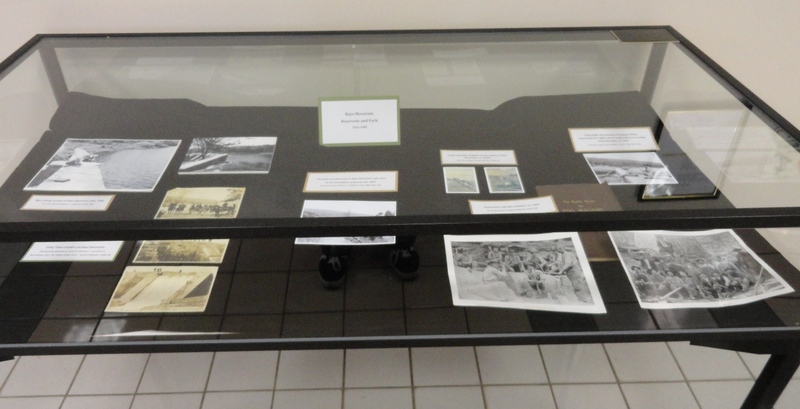 In addition to all the neat things we have on permanent display in the archives lobby, the library also provides us with two display cases on the main floor. 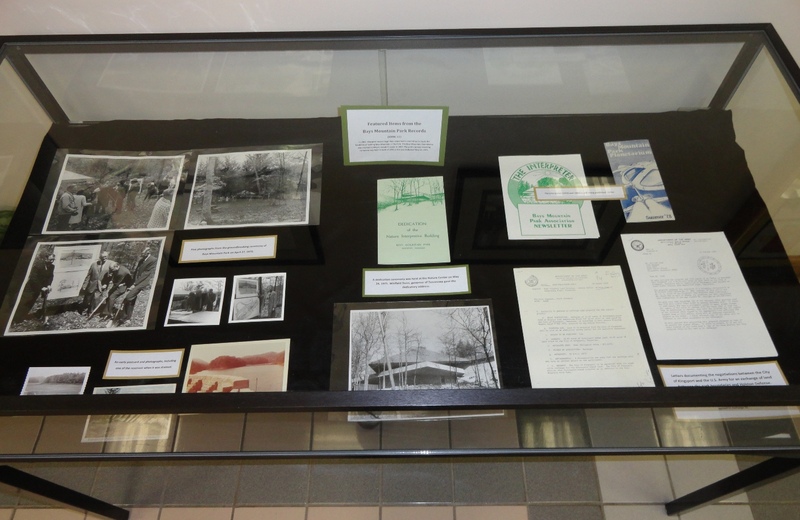 We just removed the Spoden Collection exhibit and replaced it with one about Bays Mountain Reservoir and Park. 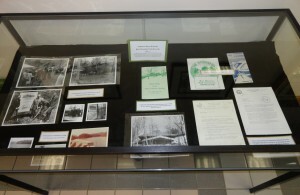 The right case features items from the Bays Mountain Park Records (KMMC 12). The left case features items from a variety of collections. 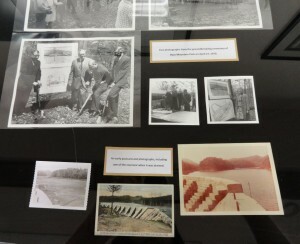 Some historical photos from the pre-park days and also images taken during the 1970 Park groundbreaking. 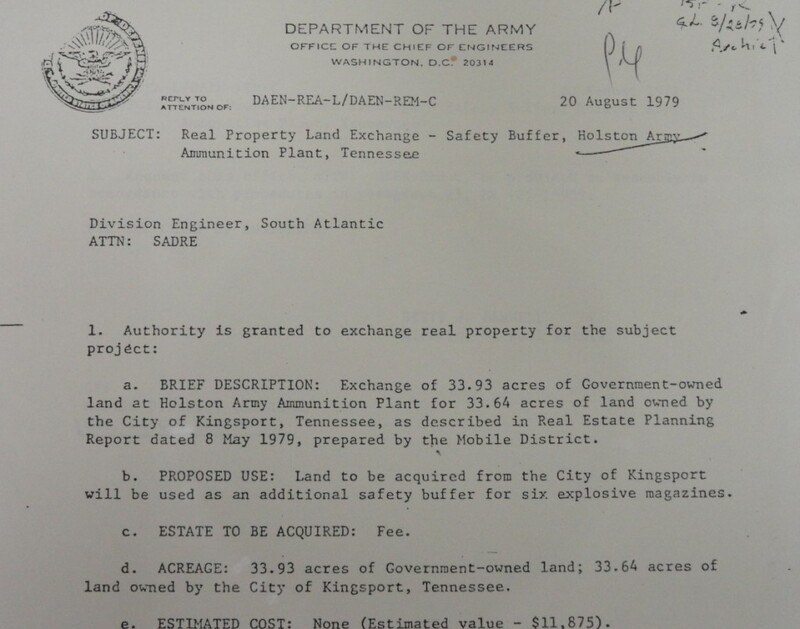 A favorite portion of the Bays Mountain Park Records is the correspondence between the US Army and Kingsport City concerning an exchange of land between the park boundaries and Holston Defense. Below is just one sample. Items in the left case are representative of the Reams, McNeer, Spoden, Huffaker, and other collections. 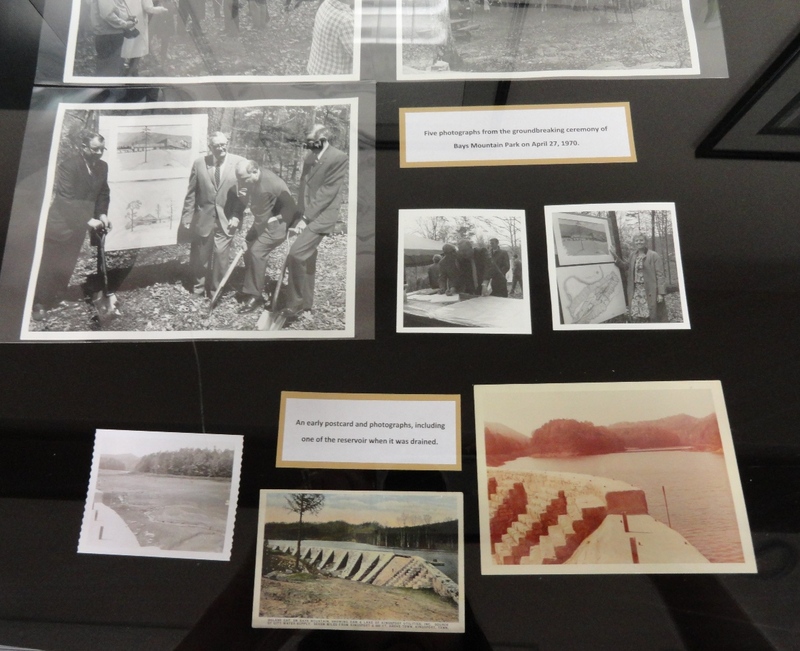 I love the photos of early city leaders reviewing the dam and images of the dam before the guard rails were installed. 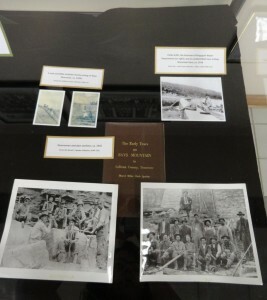 1916 quarry and dam workers. 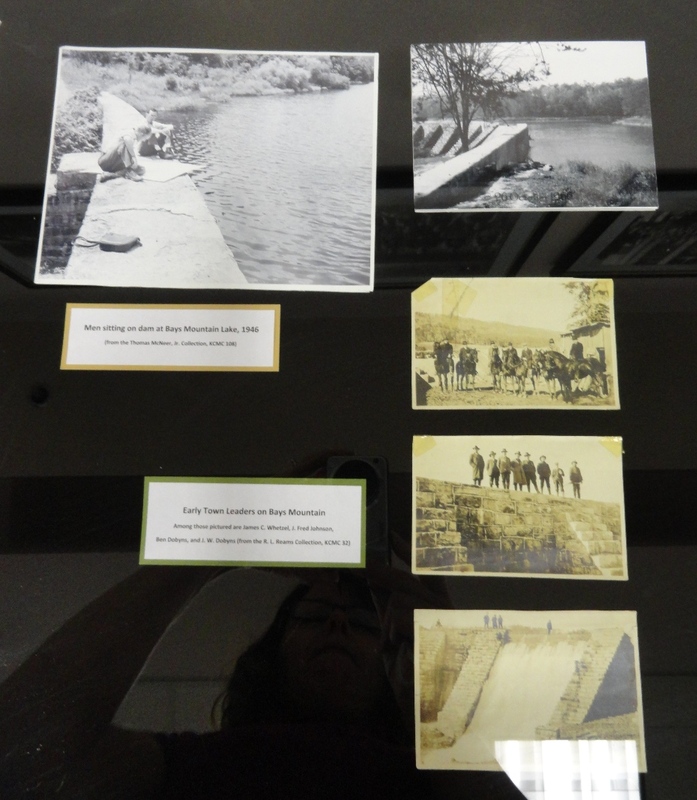 So, if you need to get out of the heat and humidity this summer, come by the library and check out the Bays Mountain Reservoir and Park exhibit. 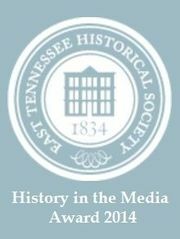 If you want to see more of any of the collections represented, come by the archives M 2-5, or T-Th 10-12 & 2-5! This entry was posted in Kingsport and tagged Bays Mountain, exhibit, historic sites, Kingsport, series. Bookmark the permalink. I hope to visit exhibit some day soon. 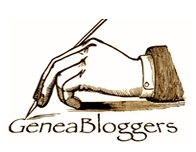 I’m in search of 3rd grt grf James Robert Green, born Jan 15, 1795 on top of Bays Mountain, TN. Don’t know his father, but from searching and using sites like yours, I hope to find more Green’s from your area. What a beautiful State you have.